Cat got fleas? Fleas on cats are unfortunately common, especially when it comes to rescuing stray or feral cats. Cat fleas are the most common type of flea and can cause serious annoyance for both you and your feline. They can even carry diseases. 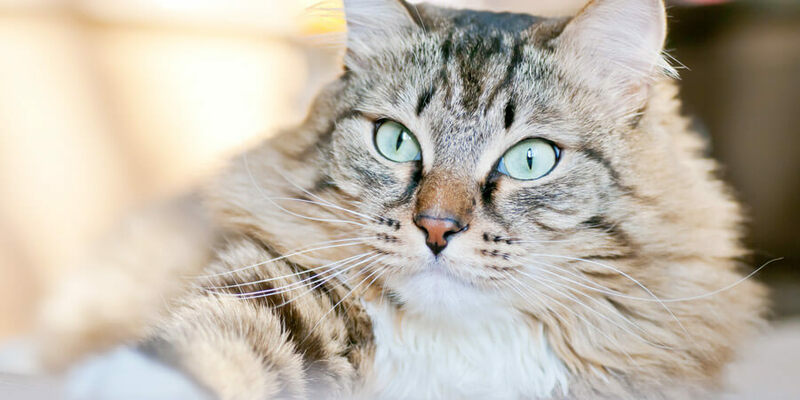 Getting rid of fleas on cats can be a difficult task, especially if you prefer natural remedies that minimize the use of chemicals in your house. 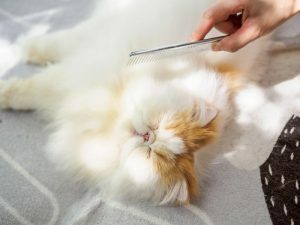 The most common symptom cats with fleas experience is excessive scratching and grooming – so if you spy your cat engaging in these behaviors, try running a flea comb through their hair to see if it pulls any black dots away. These black dots are what are commonly referred to as flea dirt. You can also check the skin around the base of your cat’s tail or under their armpits for any moving black dots. 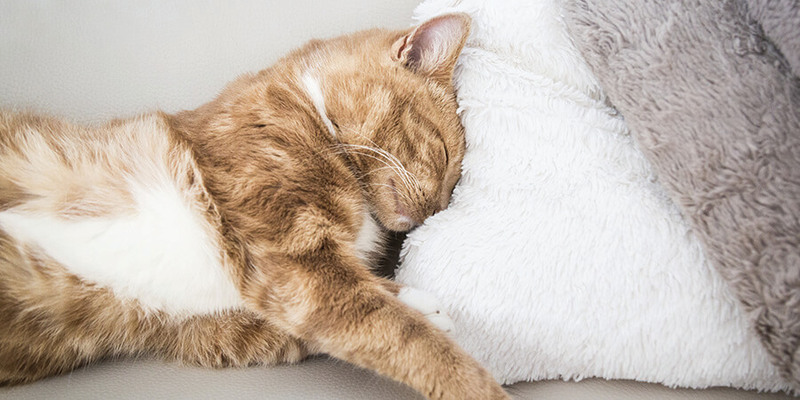 If you have a cat with fleas, these five tips will help you rid your feline of these annoying insects and say goodbye (and good riddance) to those pesky bugs. 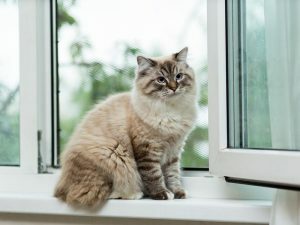 One of the best ways to prevent your cat from getting fleas in the first place is to limit your cat’s exposure to the outdoors and keep them inside. Removing your shoes before you head indoors can also help prevent tracking fleas inside your house. If you have dogs or other pets that might bring fleas inside, you may need to take extra steps to avoid a flea infestation. Frequent vacuuming of rugs and upholstery will go a long ways towards keeping fleas at bay. 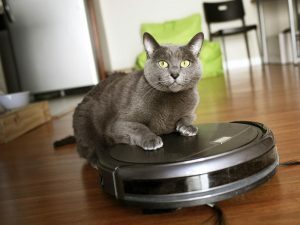 Be sure to empty the vacuum and dispose of dust outdoors. 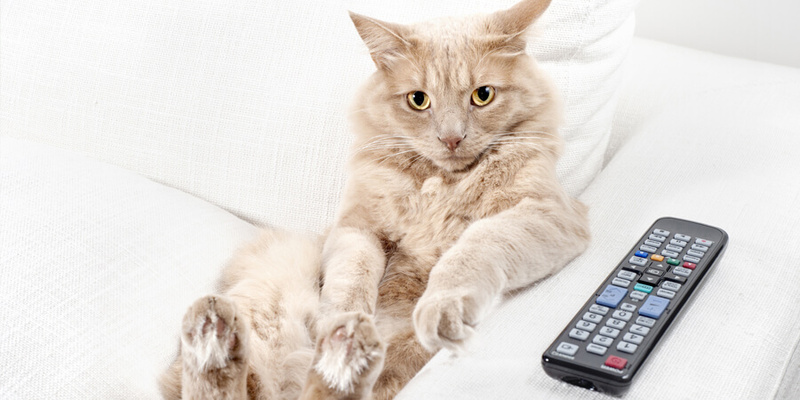 And don’t neglect your cat’s favorite lounging spots. Cover cat beds and furniture with towels or blankets and launder with hot water every few days. If you end up with a cat with fleas, you can help get rid of them without chemicals by using a flea comb. Comb slowly and thoroughly, working the comb thoroughly into your cat’s fur. Dunk the comb in a bowl of soapy water to rinse and drown fleas as they come off. Do this daily until the fleas are gone. Follow up with a thorough coming about once a week to keep them from coming back. One of the best ways to get rid of fleas on cats is a good bath, which will help to drown fleas and remove them from your cat’s fur and skin. Try a shampoo with a low concentration of natural oils known to repel fleas, such as cedar, lavender, eucalyptus, or citrus. A diluted solution of apple cider vinegar may also help get rid of fleas. 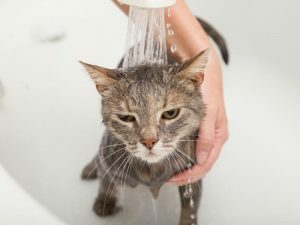 If your cat hates baths, try these tips for making the experience more pleasant for both of you. NOTE: In high concentrations, essential oils can be toxic to cats so make sure to check that the concentration is diluted (typically to around 5%) before applying any essential oil products, and consult your veterinarian with any questions or in you notice any adverse reactions. 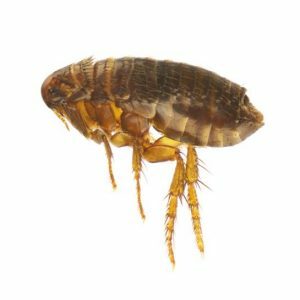 If you suspect that fleas are getting tracked in from outside, you can treat the area around your house to keep them away. 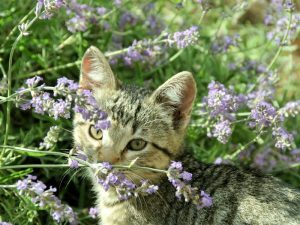 Remove debris and leaves regularly, and plant fragrant herbs like lavender and fennel to repel fleas. Sprinkle food-grade diatomaceous earth (DE) in the soil to kill fleas and their eggs without chemicals. Getting rid of fleas on cats takes persistence, so whatever method you choose – keep at it. If you still can’t get rid of your cat’s fleas, visit your vet to discuss a flea control program that may include a long-lasting medication to prevent fleas.